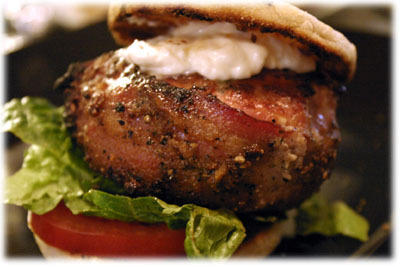 The Ultimate Burger - the best hamburger you may ever taste! The Ultimate Burger might just be the best hamburger recipe you'll ever try. OK, it may not look much different from every other hamburger but it certainly tastes a lot different. And it's not so much the ingredients that makes it so good (although they really help) as it is how this hamburgers made. 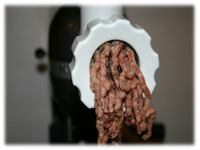 This recipe is fairly easy to make but it does require a meat grinder of some sort. If you don't have one, it's best to borrow one, this recipe is worth it. 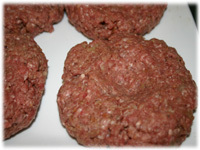 Like most of our burger recipes this one also uses some ground pork with the beef to keep it nice and juicy while it cooks. Read on to see what else goes in this. 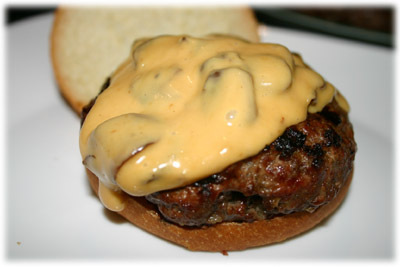 Optional: try the Classic Cheese sauce recipe with mushrooms instead of plain old sliced cheese on top. Fry the bacon pieces until they begin to crisp up, about 8 - 10 minutes over medium heat. Add the onions and let them sautee until they begin to soften, about 4 - 5 minutes. Add the garlic and continue frying another 2 minutes. In a separate bowl combine the ground beef and ground pork. When the bacon/onion/garlic mixture is cooked add it to the ground beef and ground pork mixture. Add the thyme, Worchestershire, hot sauce and salt/pepper. Mix well to combine all ingredients, cover and refrigerate at least an hour to cool and blend the flavors. Assemble the meat grinder according to manufacturers directions. Remove the hamburger mixture from the refrigerator and begin grinding the ingredients together on the finest grind aperture setting available. This critical step ensures all the flavors are equally blended throughout the meat. Wet your hands with water and form the meat into 4 hamburger patties. 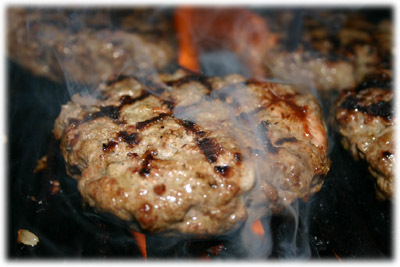 Don't overwork the meat or it will become tough after grilling. Make a slight indentation in the top of each pattie with your thumb to compensate for it's tendancy to puff up during cooking. Cover and refrigerate for 1 hour. Well oil the grates of the grill, and bring up to Medium heat (350F - 375F). 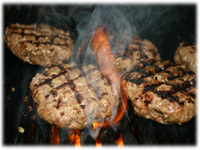 When the grill reaches temperature remove the patties from the refrigerator and place on the grill and close the lid. 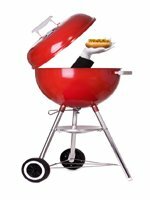 Grill for 5 - 6 minutes and lift the lid to check them. 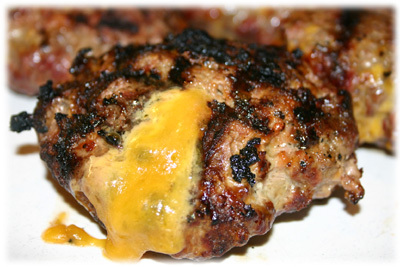 Check with a spatula to see if they're sticking to the grill, look for nice char grill marks under the burger. If the burger lifts well with the spatula then flip it. If not give it another minute and then flip. 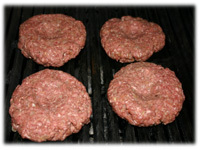 After another 5 - 6 minutes the burgers should be done, lift the lid and remove for Medium-rare to Medium or check the internal temperature (165F). For an added twist and to make this Ultimate burger even better, why not try the Ultimate Cheese & Mushroom sauce recipe as a topping instead of regular cheese!